Dr. Liegner has been in the trenches a long time treating Lyme disease. He was working side by side in the early days with government scientists when they were curious and truly interested in learning something about this disease, before dogma took the place of science. Yesterday, he told the IOM how it is for Lyme patients, treating physicians, and researchers in this environment of fear, suppression, intimidation, indifference, and silence: "Physicians who have cared for persons with chronic Lyme disease have faced harassment at a minimum and for some, their careers have been ruined. Researchers who have seriously dedicated themselves to the scientific study of chronic Lyme disease in humans and/or animals have often found themselves attacked or marginalized. To persist in their researches would have resulted in virtual career suicide and some have been forced, by exigencies of survival, to leave the field." He also points out how the IOM feeds into this by allowing Dr. Wormser to speak unopposed and not permitting ILADS physicians an opportunity to speak: “The process of planning the meeting has been, as far as I can tell, quite opaque and it is notable that clinicians who actually treat persons with chronic Lyme disease have been nowhere to be found on either the planning committee or the panel. Neither is any clinician afforded adequate time to present, in a formal way, an opposing position to what must be viewed as the “keynote” speech by Dr. Wormser. Dr. Wormser’s extreme view on the existence of the entity of chronic Lyme disease needs no repeating but does need rebuttal.” His full letter follows the leap. . . I spoke with Trevonne a few days back to inquire whether or not there would be opportunity for attendees of the up-coming meeting to make comments and/or statements in the context of the meeting and learned that the meeting was structured only to allow focused questions in response to a preceding presentation or discussion.I mentioned in passing that I was pleased to see that there was representation of a diversity of views in terms of choice of speakers which included Carl Brenner, John Aucott, Brian Fallon, Sam Donta and Pam Weintraub. It has since been pointed out to me that many of these individuals have very limited time in which to articulate a position concerning the issue of chronic Lyme disease since the physicians are ensconced within discussion panels and do not have the opportunity to speak at length. The process of planning the meeting has been, as far as I can tell, quite opaque and it is notable that clinicians who actually treat persons with chronic Lyme disease have been nowhere to be found on either the planning committee or the panel. Neither is any clinician afforded adequate time to present, in a formal way, an opposing position to what must be viewed as the “keynote” speech by Dr. Wormser. Dr. Wormser’s extreme view on the existence of the entity of chronic Lyme disease needs no repeating but does need rebuttal. Physicians who have cared for persons with chronic Lyme disease have faced harassment at a minimum and for some, their careers have been ruined. Researchers who have seriously dedicated themselves to the scientific study of chronic Lyme disease in humans and/or animals have often found themselves attacked or marginalized. To persist in their researches would have resulted in virtual career suicide and some have been forced, by exigencies of survival, to leave the field. Laboratories that test extensively for Lyme disease, including use of direct detection methods such as PCR, have found themselves subjected to concerted smear campaigns and harassed. Whereas PCR is a well-accepted method in virtually all other infectious diseases, its clinical use for Lyme disease has also been marginalized. Direct detection methods developed more than a decade ago by some of this country’s finest physician-researchers and biomedical research scientists (Dorward DW, Schwan TG, Garon CF. Immmune Capture and Detection of Borrelia burgdorferi Antigens in Urine, Blood, or Tissues from Infected Ticks, Mice, Dogs, and Humans. J Clin Microbiol 1991;29:1162-1170 & Coyle PK, Deng Z, Schutzer SE, Belman AL, Benach J, Krupp L, Luft B. Detection of Borrelia burgdorferi antigens in cerebrospinal fluid. Neurology 1993;43:1093-1097 & Coyle PK, Schutzer SE, Deng Z, Krupp LB, Belman AL, Benach JL, Luft BJ. Detection of Borrelia burgdorferi-specific antigen in antibody-negative cerebrospinal fluid in neurologic Lyme disease. Neurology 1995;45:2010-5) have been moth-balled, I believe, for political and medical socioeconomic reasons. Seronegativity, a well-recognized feature of spirochetal disease (e.g. in syphilis) is held to not need consideration despite early recognition of this phenomenon in Lyme disease, ironically, by a signer of the 2000 and 2006 IDSA Lyme disease guidelines (Dattwyler RJ, Volkman DJ, Luft BJ, Halperin JJ, Thomas J, Golightly MG. Seronegative Lyme Disease. Dissociation of T- and B-Lymphocyte Responses to Borrelia burgdorferi. N Engl. J Med 1988;319:1441-6). That there is no active support by the Federal government for training programs for pathologists or support for pathologic laboratories for in-depth pathologic study of tissues from humans with chronic Lyme disease using all available methods (and which, hopefully, might develop new and superior methods) indicates a choice to remain in ignorance. There could and there should be one or more such laboratories of highest scientific calibre where such methods could be made available to clinicians and researchers and their patients, comparable to the Armed Forces Institute of Pathology, which has been known for excellence in the study of syphilis. A key formative influence in the creation of the National Institutes of Health was Metropolitan Life Insurance Company (Harden VA. Inventing the NIH. Federal Biomedical Research Policy 1887-1937.Johns Hopkins University Press. 1986. pp.57-59,114 & 122). It would be naïve not to consider the possibility of ongoing behind the scenes influence of the insurance industry on N.I.H. policy. Honest review of the worldwide peer-reviewed scientific literature reveals an abundance of evidence for the existence of chronic Lyme disease in humans and animals. Much of this evidence was presented to the Lyme Disease Review Panel of the Infectious Diseases Society of America on July 30, 2009. Regrettably, the panel chose to sustain the 2006 IDSA Lyme Disease Guidelines. IDSA leaders were defiant from the outset asserting the Connecticut Attorney General could make them review the guidelines but that he couldn’t make them change them. In retrospect it was a serious strategic error to leave the review process within the hands and ultimately under the control of the IDSA itself. The medical profession and the United States Public Health Service, predecessor to the CDC, have a long history of medical neglect of persons suffering from spirochetal infection. The profession and the USPHS were completely unable to reform themselves from within in this regard. It required moral and political intervention from without to bring the Tuskegee Experiment to an end with Senator Edward Kennedy’s hearings in February and March, 1973 before Committee of Labor and Public Welfare’s Sub-Committee on Health (Jones JH. Bad Blood: the Tuskegee Syphilis Experiment – a tragedy of race and medicine. The Free Press. New York. 1981 pp. 213). The Tuskegee Experiment involved about 400 subjects. Lacking the taint of racism, nonetheless the “mainstream” handling of chronic Lyme disease affects far more people; it would be a fair estimate to say, Tuskegee X 10,000 in the United States alone. Furthermore, the standards held out by the CDC and the IDSA have worldwide influence. Canadians are unable to get care for chronic Lyme disease. We are seeing significant numbers of persons with chronic Lyme disease forced to leave Canada for care. State legislators have begun taking matters into their own hands and the states of Rhode Island, Connecticut, California, New York, Massachusetts and Minnesota have passed laws or promulgated policies protecting physicians who treat persons with chronic Lyme disease. Are these legislators stupid? Are they dupes of Lyme activists? Or can they see what is so obvious to the patients and to any good clinician, that Lyme disease can be a chronic infection that often requires a long-term treatment approach? Furthermore, as the disease spreads and more and more individuals are affected, legislator’s staffers, their wives, their children and they themselves are experiencing the effects of chronic Lyme disease. In the fullness of time, the mainstream handling of chronic Lyme disease will be viewed as one of the most shameful episodes in the history of medicine because elements of academic medicine, elements of government and virtually the entire insurance industry have colluded to deny a disease. This has resulted in needless suffering of many individuals who deteriorate and sometimes die for lack of timely application of treatment or denial of treatment beyond some arbitrary duration. I am forwarding by mail copies of two of my abstracts and several published articles concerning such individuals for each panel member as I do not have these in PDF format (Liegner KB, Rosenkilde CE, Campbell GL, Quan TJ, Dennis DT. Culture-confirmed treatment failure of cefotaxime and minocycline in a case of Lyme meningoencephalomyelitis in the United States [abstract]. Programs and abstracts of the Fifth International Conference on Lyme Borreliosis, Arlington, VA, May 30-June 2, 1992. Bethesda,MD: Federation of American Societies for Experimental Biology; 1992:A11. & Liegner KB, Duray P, Agricola M, Rosenkilde C, Yannuzzi L, Ziska M, Tilton R, Hulinska D, Hubbard J, Fallon B. Lyme Disease and the Clinical Spectrum of Antibiotic-Responsive Chronic Meningoencephalomyelitides. J Spirochetal and Tick-borne Dis 1997;4:61-73 & Liegner KB. Lyme Disease: The Sensible Pursuit of Answers. (Guest Commentary). J Clin Microbiol 1993;31:1961-1963 & Liegner KB & Jones CR. Fatal progressive encephalitis following an untreated deer tick attachment in a 7 year-old Fairfield County, Connecticut child. [Abstract] VIII International Conference on Lyme Disease and other Emerging Tick-borne Diseases, Munich, Germany, June 1999 & Liegner KB, Shapiro JR, Ramsay D, Halperin AJ, Hogrefe W, Kong L. Recurrent Erythema Migrans Despite Extended Antibiotic Treatment with Minocycline in a Patient with Persisting B. burgdorferi Infection. J Amer Acad Derm 1993;28:312-4.). I urge the panel members to be scrupulous in considering all of the available evidence concerning the issue of chronic Lyme disease, to issue a report which will not be regarded as a whitewash for the IDSA 2006 Lyme Disease Guidelines, that it may acquit itself well in the eyes of history. Member, Treatment Panel, N.I.H. State-of-the-Art Conference on Lyme Disease, March 1991, Bethesda, MD. Co-Chair, Treatment Poster Discussion Section, Fifth International Conference on Lyme Borreliosis, May/June 1992, Arlington, VA. Participant, N.I.A.I.D. Consultations on Chronic Lyme Disease, February & October, 1994, Rockville, MD. Member, Program Committee, 7th International Conference on Lyme Borreliosis, San Francisco, CA., Spring 1996. Presenter to Infectious Diseases Society of America Lyme Disease Review Panel, July 30, 2009, Washington, D.C.
LYMEPOLICYWONK: Does IDSA Have Police Power? Can IDSA Regulate Lyme Tests? 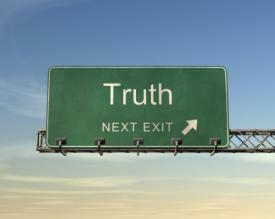 LYMEPOLICYWONK: TO TELL THE TRUTH. . . Reports of Antibiotic Lyme Death Have Been Greatly Exaggerated. I read this whole article. Great work, Dr. Liegner! I was infected with Lyme approximately 23 years ago; I'd been sick for 14 years before I was diagnosed by Dr. Shun Ling here in CA. I was infected in a suburb of Buffalo, NY, however. None of the CA physicians ever believed I had Lyme when the bottom dropped out of my world in 1995. I asked them to consider where I had lived for the 11 years before I moved to Riverside, CA. I especially questioned the 2 internests who refused to give me a referral to Loma Linda University Hospital's (teaching/research) infectious diseases specialist. I now know, though, that LLU won't touch Lyme with a 10' pole! At least Stanford is beginning to do some research! Finally, by word of mouth, I heard of Dr. Ling, and, after the most thorough physical exam and taking of medical history of my life, I was tested. But he started me on the first antibiotic before the results from Ignex were returned. He was that sure, forming a clinical dx, that I had the disease. I am now preparing, after being off antibiotics for 8 years, to see yet another lyme specialist nearby (2 hr. drive) in order to begin tx again. I hope I can improve, again, by simply taking stronger antibiotics, but I know enough to know I may need I.V. antibiotics now. Yet, my brothers, sisters and deceased parents never believed or even wanted to hear about the effects on my by this disease. My immediate family has been awesome, though, maybe because one of my daughters had it too. It's amazing what the public will swallow as "truth" through mass media — mosttly lies! Very well true and well put. I only wish that it could be read by more than just a few and believed by the general population. Lorraine, thank you for all the recent posts regarding the IOM. As I understand, there is a workshop in DC on Oct.11 and 12. Are there any plans for a presence of Lyme advocates at this meeting? Can we make a statement…a loud, outraged one which calls attention to the biased, political nature of these proceedings? Dr. Leigner's response mirrors my recent paper. I suggest everyone read it. I appreciate Dr. Leigner's effort and would be even more appreciative if someone with financial means would take notice in order to follow-up on finding solutions through researchers. Great Letter Dr. Leigner! Thank you! If there is anything I can do to help, you know how to find me. Nancy…I live in VA and am suffering from Chronic Lyme as well as a new infection! I won't go into all the details as we know them all too well! My question is COUNT ME IN…Where in DC is this workshop? I can rally many Lymies who are angry and frustrated with the current situation! We need to band together! The science of TLR2 agonism and resultant seronegativity not recognized as a source of prostate cancer induction (TLR2 agonists; OspA, mycoplasma), we're happy to let continue, passing by the IOM, the NIH, and in fact, all of US Medicine. 'At which time they're all be rendered literally as well as intellectually impotent. Wonderful letter Dr. Leigner!!! Thank you so much for all your efforts to help Lyme patients everywhere. Where do you find hope that this process of getting a reliable diagnonsis and proper treatment will someday actually happen? People with chronic Lyme disease and all of the "baggage" that comes with it do not have the financial means to pay out of pocket for treatment that their insurance company says they don't need. They don't have the energy to fight because they are so sick! The doctors that are geographically close to them do no know what to do, if they believe that they are actually sick at all! Travelling to doctors for hours and hours cost a ton of money for someone who is so debilitated that they cannot work or even think clearly to make those decisions. Dr. Leigner was wonderful treating my brother for the short time that we were able to afford to see him. His treatment method was questioned by other physicians but we were open to anything…sadly, my brother's disability insurance company was not and would not pay! You should be lucky if you are wealthy and get infected. Maybe you then would have a fighting chance. Sadly, we live with the affects of this horrible disease and realize that life with Lyme is our brother's "new normal". Best of luck in the fight. I hope that we will see a resolution to this medical and political mess in our lifetime! Praise the Lord for doctors like yourself who are willing to step out and help so many who suffer. Recently my local House of Rep. contracted Lyme disease. I'm grateful for his willingness to listen to me over a year ago when legislation was going on. He remembered so much which has helped him tremendously in getting help. He understands the plight of those who suffer and their families. Thank you for all your great work. Someday Lyme disease will be given a voice just as AIDS was. Why does history always repeat itself??? I was diagnosed in1992 & 1999, so 23years I’m sick still ????? ?